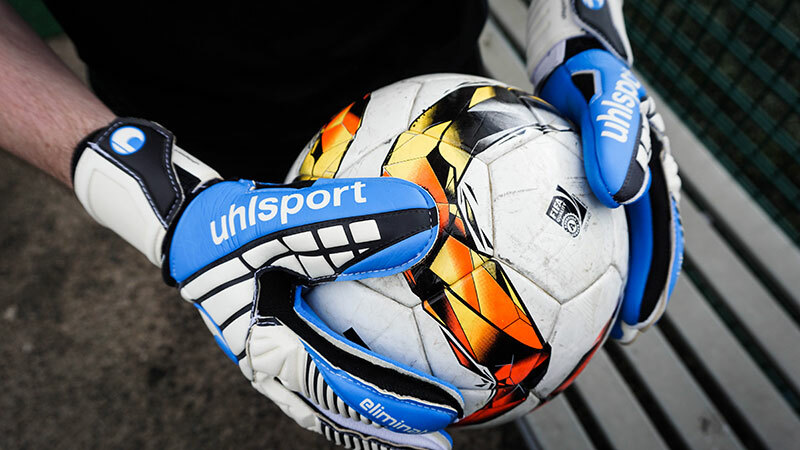 Choosing the right pair of goalkeeper gloves is vital. That's why we've put together a guide to help you pick the right pair to avoid injury and improve your game. Just like football boots, shopping for goalkeeper gloves can become quite tricky if you don't know what you're looking for. With so many styles, shapes, colours, models, it can all be a bit confusing. 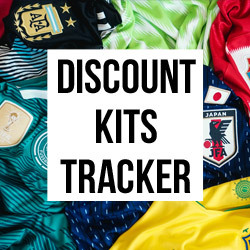 Whether it’s for 5-a-side with your mates or you fancy yourself as a Sunday League Neuer, by using this guide you can make sure you pick up the right pair. Ensuring you have the right sized glove helps improve performance, durability and prevents injury. In general, a glove should be a bit roomy, with half an inch to one inch past the end of your fingertip. What goalkeeper glove size am I? 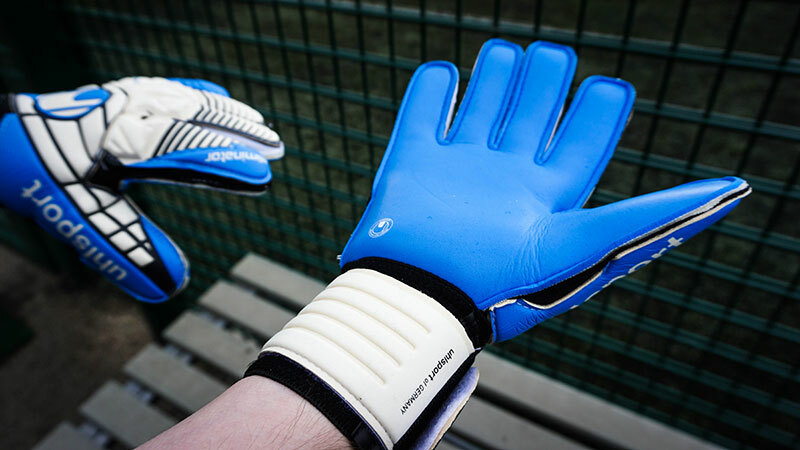 There are four steps you can use to find out your perfect goalkeeper glove size. 2. Measure around your hand, just below the knuckles, not including your thumb. 3. Take this number and round it up to the next inch. 4. Add 1 to this number and you have your glove size. 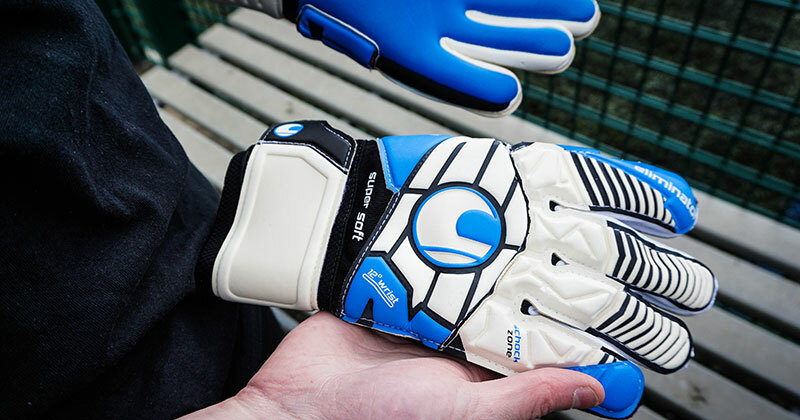 For those not in the know, keeper gloves come in a range of different cuts. Essentially, the cut refers to how the glove is stitched together, specifically between the palm and fingers, with each cut offering a unique fit and flexibility for the wearer. There are many types of glove cuts available on the market, from both the big and smaller brands. Overall, your choice will come down to personal preference. Similar to boots, we all prefer a slightly different feel and style. Which goalkeeper glove cut is the best? The three most popular glove cuts are roll finger, negative cut and flat palm, with each offering it's own pros and cons. To find the best cut for you, you'll need to try them on and figure out what you want from a glove in terms of fit and feel of the ball. 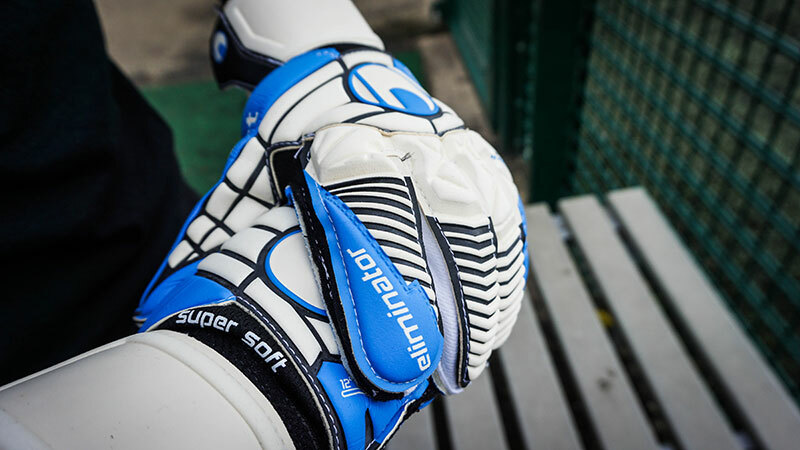 Possibly the most popular style of glove on the market, the roll finger cut refers to the fact the palm of the glove connects to the backhand directly, rolling around the finger. Due to this roll, the glove provides great contact with the ball. 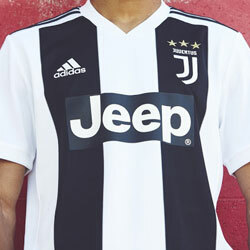 However, it's not as tight or snug compared to other styles, with some keepers believing it is too bulky. The negative cut is very similar to the flat palm, with one key difference, the stitching/edges of the palm are on the inside, rather than visible on the outside. This allows for a much more snug and tight fit, allowing you to have a firmer grasp of the ball. 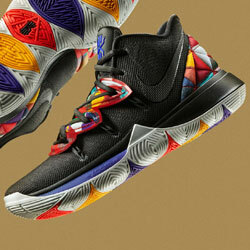 However, this does lead to a slightly higher wear rate than other cuts. 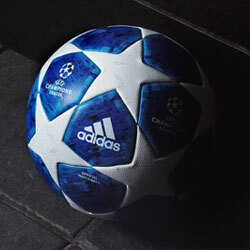 Possibly the most popular of the new cuts, it is rapidly becoming popular among modern day goalkeepers. This is a classic glove cut which has remained popular to this day — the name is pretty self explanatory. The palm itself is flat and stitched to the rest of the glove on the outside, showing off the edges of the gussets and palm. The cut provides a loose feel, with one piece of latex attached to the rest of the glove. Do I need finger protection? To fingersave or not to fingersave, that is the question. Whether a keeper has had an injury which could've been prevented or they're just a tad more cautious, keepers across the globe have all wondered if finger protection is for them or not. Finger protection is an insert in the glove, usually made from a kind of plastic that is bent in a way which protects the fingers from damage. They help prevent an unnatural flex and take the full force out of an impact to protect your hands. There are obvious advantages to fingersave technology, but there are some downsides. A large majority of professional goalkeepers prefer not to use finger protection as they can reduce the overall flexibility of the glove and have an impact on ball control. What goalkeeper gloves are best for 3G? The high abrasion of astroturf surfaces means you’ll wear your gloves out faster, more from just getting up off the ground than saving the ball. There are gloves made for hard ground and 3G surfaces, but a good way to make sure your match gloves are in tip-top shape come the weekend is to buy two pairs. 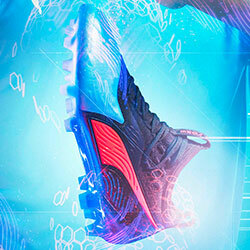 One high end pair for matches and one mid-range or cheap pair which can be worn on 3G. 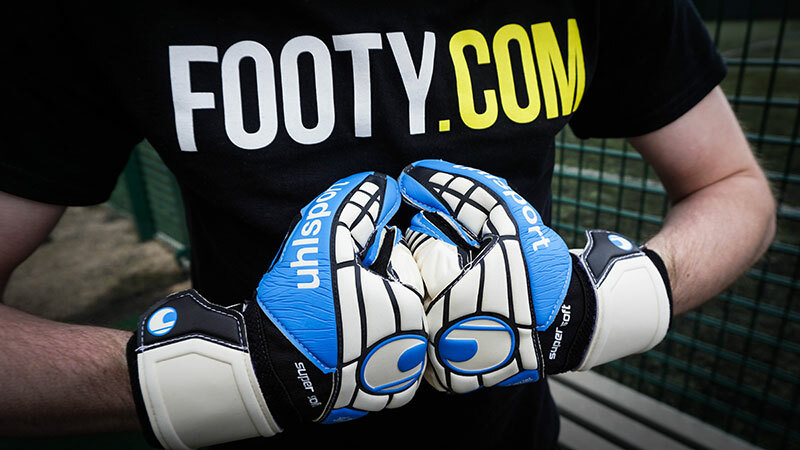 Whichever glove you decide to buy, you'll find them at the lowest prices around with FOOTY.COM.